was built in Sioux Falls, South Dakota in 1977 and was kept in my garage for a few years in the 1990s. It cruises at the speed of the wind (usually 1 to 10 miles per hour) and can carry three people. 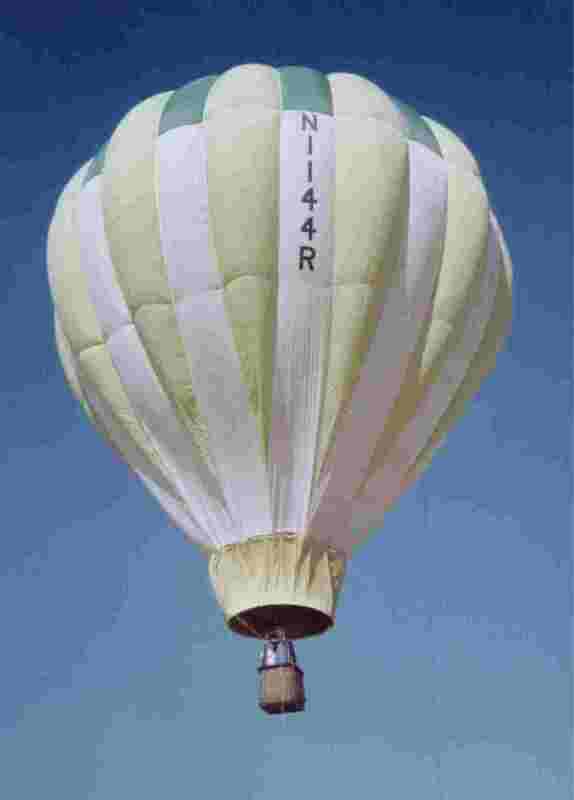 It is a RX-6 hot air balloon with a single propane burner. It carries 30 gallons of propane an has a maximum gross weight of 1400 pounds. Raven Balloons, the manufacturer, is now known as Aerostar International.